So four months have passed now since the inception of this blog. I’m still riding the ride, sometimes with struggles, but most of the time it’s pure joy. One thing that has increasingly come into my awareness is the ethics involved with a blog and having a web presence in general. It really doesn’t matter what subjects or themes are associated with a site – it’s always important to do one’s homework and proper research. And to present that in a neat, responsible fashion. Yeah I know, it sounds like school. Well guess what, life IS school. I’m afraid that never ends either. But at least we can have more control over how we’re being schooled once we left that building – so to speak. We can choose a book to learn about something, we can sleuth the endless trails of the internet or we can just pack our bags and go on a horizon expanding journey (literally). Exactly what happens then of course is barely under our control. But if one adopts a positive, open-minded mentality it’s easy to take a lesson with humor and joy. Let me give you an example of something that happened to me in these two months. 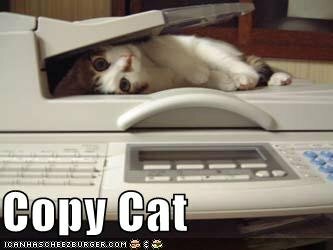 Ehhh, someone’s copying from me? When I did some analysis as to where my pages where ranking in google I stumbled upon a text that was clearly taken from my post about necklace flash drives. Actually it was copying word by word, except that a few sentences had been left out. And for good reason because the copy turned out to be an ebay auction of a particular USB pendant – thus my mentioning of the varieties was undesirable. I’m not going to expose who this seller was but needless to say I was a little upset at first. I quickly realized though that I actually shouldn’t be. First of all google was smart enough to still rank my text higher than the ebay-seller’s. It’s good to know the big G knows what it’s doing because even though duplicate content is rampant throughout the internet (with or without permission) the original should always be given priority. Secondly, this showed me I must be doing something right. Because as we all know, “copying is the sincerest form of flattery”. That it happened with this particular post is quite mind boggling however because to me it really doesn’t reflect my best writing. Thirdly, the seller didn’t do anything illegal because there’s no copyright on my posts and I would never make it a point to claim one. You see, I believe that copyright is an exaggerated, obsolete notion and we should move on to an ethical sharing spirit that is already quite dominant on the net (credit where credit´s due, which could be a simple “thank you”). So how ironic again that the universe showed me the flipside of the coin. It surely was interesting and after my initial reaction of silly possessiveness I just decided to drop the seller a quick note. I pointed out to him/her that the copying actually didn’t bother me but that I sure would appreciate if he/she came up with something more original which really shouldn’t be that hard to do. I suggested that we both may actually suffer from such actions due to the duplicate content issue on google. So I put on a little pressure and also offered to feature the particular flash drive pendant he/she was selling – if the description was altered. After all I profit from these sellers and I’m guilty of doing a little copying myself. Because sometimes I take the images from listings and insert them into my posts. But since I make these as links to the same listings, I figure it’s a win-win situation. When I first asked sellers for permission they all reacted positively so nowadays I don’t bother anymore. Well, I never got a reply from the seller which is too bad. I guess the person felt put on the spot or maybe just didn’t care. What matters is that after the auction ended my text never reappeared. On the other hand however, a second text of mine did appear. On another website. It was actually a store and this time it was one of my page’s meta descriptions used as the very same on there. It was strange because it didn’t really reflect what the site was selling – yes it was a flash drive, but not that specific type. So I only scratched my head and I believe the description is gone now. All this left me wondering what else may be lurking out there that can be traced back to my blog…. But – I figure it’s best to let things like that go. Because like I wrote earlier, one can’t really control life anyway. To do so is pointless and puts you into a negative, undesirable state. Let the internet take care of things. As we can see with the recent Maureen Dowd scandal (NYT journalist copies from Josh Marshall’s blog), it works pretty well. Now I’m curious. Does any of you ever experienced plagiarism? Of your blog or submitted articles? Just so that everyone knows, article directories like ezine are actually intended to be a bit like a free-for-all. Unless permission to redistribute is explicitly prohibited. It’s codex and common sense however to credit the original author of an article, best with the original signature links intact. But what if not? How would you react if you discovered someone just copied your writings without giving your credit or even pretending it’s his or hers? Share your perspectives. p.s. 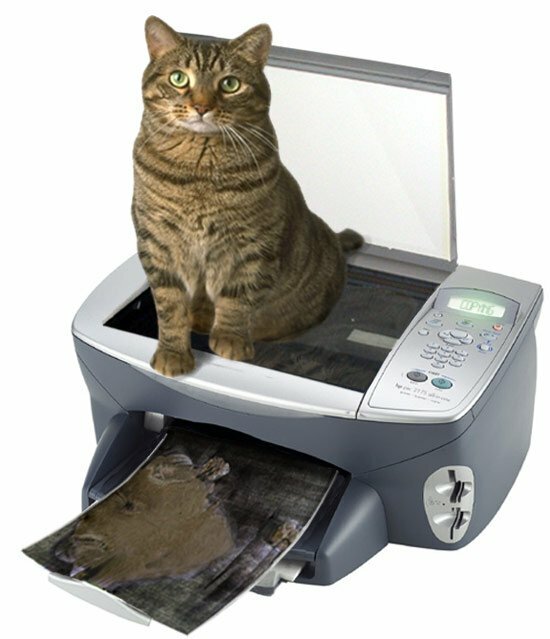 : I got the cat pictures from someone, somewhere on google images. Haha I love the images. Such adorable cats. Well yes, it’s annoying to know your work is copied and they gain from it. It’s not at all fair. Thats true, it great to have your work secured thus under copy rights.. But there is always someone out there who finds a way to break through and there goes all your hard work.. But its always better to have it secured, the chances of it getting out would be a lot less obviously..
Just to clarify – I really dont have the issue with any copyright. I think thats an obsolete entity and needs to be done with. I only have a problem with people plagiarizing and distributing without asking first and/or disrespecting a “no”. I agree. Plagiarizing can be really annoying especially when you have put so much hard work in to it. The least thy can do is ask and I’m sure most of wouldn’t say no if they ask. Well yeah I had a friend who had his data hacked, and he lost so much out of it. And he didnt really have very well secured, you never know what can happens.. So its always better to take precautions! LOL I should do that with my cat. By the way, my cat looks almost exactly like the one in that picture! On a serious note….my work has been plagiarized many times and often there is little you can do about it, especially when rippers are hosting there sites outside of USA. Yes, its really hard to store your data safely these days. Most people opt to store there data online thinking thats a great way to back up data, well it actually is much more riskier. Since your more prone to have it hacked! .-= omnia review´s last blog post ..Bubble Bash 2 =-. When your content is copied it is such an annoyance. I remember few months back I had the same problem. You do so much hard work with research and stuff and it gets copied by someone. So annoying. Plagiarism is something that is occurring in a day to day basis nowadays. I think CMS services needs to do something about people directly copying content from sites. Copying information is rampant on blogs. I started using a special tag I place in the the body tags to try to stop copiers and it seems to be working.. I will circulate this article. Thanks..
Not had experience of blog being plagiarised but did find images of my products! Not sure how people think they will get away with it but is v annoying when you’ve put hard work in and someone else just copies it with no effort. That’s precisely the problem of every blogger or site owner, most people just want to earn money even if they are using something created by other people. I think it’s time to at least protect the rights of these hardworking site owners. .-= Maria´s last blog post ..Top 5 affordable options for starting a vending machine business =-. That first image is kind of hard to believe haha. Talk about it, everyone’s copying someone’s data these days, you really don’t know where it originated from. Copyrighting too wouldnt help much, people still get a way around it. Thanks for the post!its really helpful,i want to have an income of my first blog.How i wish i can do it and it will grow..Thanku so much for the idea youve posted..! I can’t believe people have the audasity to steal actual editorial from your page, but I guess that is the sign of the times and the world we live in! So true, its become so competitive that ones own work isnt good enough, and that probably explains the stealing! On the other hand its always good to have precautions though, always safer! I just hate people who copies my blogs content and I usually do the thing is report there web host about that. It would be enough to take your content off from another website. Anyways, really nice and detailed post. I hear ya about adding images to posts, personally I think its the most vital ingredient! Thanks for you message & mail, DT!! Interesting thoughts on modifying vs plagiarizing – much appreciated! Plagiarizing can be really annoying, but In this technological age it’s seems more normal than exception. Copying and using other people’s website content is extremely damaging to the original owners because it gets saturated in web indexes like Google and Yahoo, causing it to be no longer unique in the index. This leads to the original website owner losing page rankings, traffic and revenue. Theft of website content is a rapidly growing problem and owners should check their content frequently to find out whether it is being used somewhere else. As for me – I use PlagTracker.com.